ELIZABETH, New Jersey (WABC) -- A New Jersey Catholic high school teacher is under arrest, accused of carrying on a sexual relationship with a student. 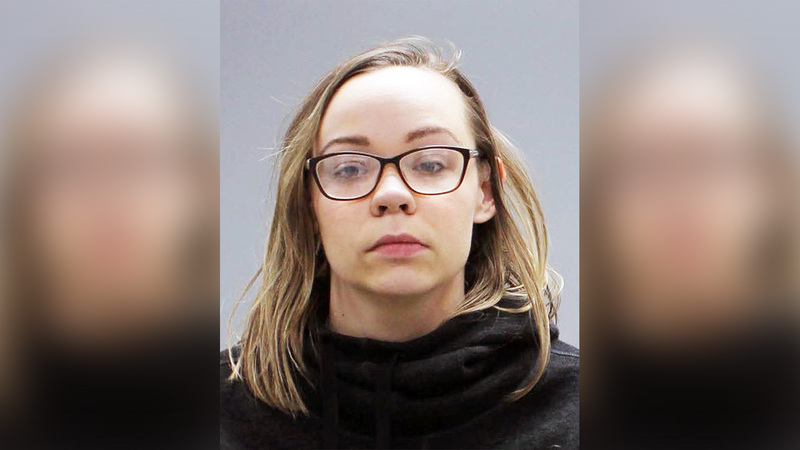 Authorities say 25-year-old Theresa Hrindo, a technology teacher at Roselle Catholic High School, engaged in sexual acts with the victim at several times and locations in Union County from December through February. The three-week investigation was initiated by a referral from the Catholic Archdiocese of Newark, which holds jurisdiction over Roselle Catholic. Hrindo, of Linden, is charged with two counts of sexual assault, two counts of endangering the welfare of a child and a single count of hindering apprehension. The last count came as a result of Hrindo allegedly deleting incriminating images and files from the involved student's phone. She also graduated from the school. Her attorney, Michael Brucki, told a judge Friday that the process has been traumatic for his client and her family. A spokesman for the Archdiocese of Newark says Hrindo was suspended immediately after the allegations came to light. Anyone with additional information is urged to contact Prosecutor's Office Detective Brian O'Malley at 908-220-4323.